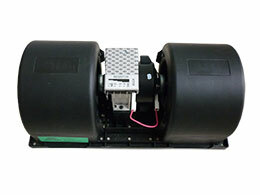 Top performance Airpro4000 battery powered air conditioning for commercial vehicle is a very powerful DC air conditioner with electric brushless motor rotary compressors in a closed circuit, which is designed to run on the normal starter batteries. 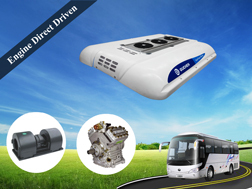 This revolutionary drive system utilizes 24 volt direct current (DC) starting the batteries to drive an independence commercial vehicle air conditioning units while the vehicle engine is shut down. 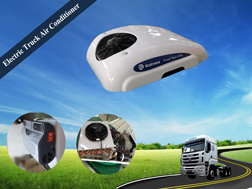 ● Airpro4000 commercial vehicle air conditioning is used to cool down medium size cabs, vans and all kind of vehicle bodies while driving or sleeping (anti-idling), such as vans,tractor, light commercial vehicle, commercial motor vehicle, heavy commercial vehicle, RV’s and CV(Commercial vehicle). 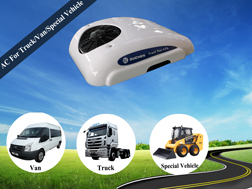 ◆ The cooling capacity is up to 3500W (12000BTU), It is a rooftop mounted electric commercial vehicle air conditioning system. 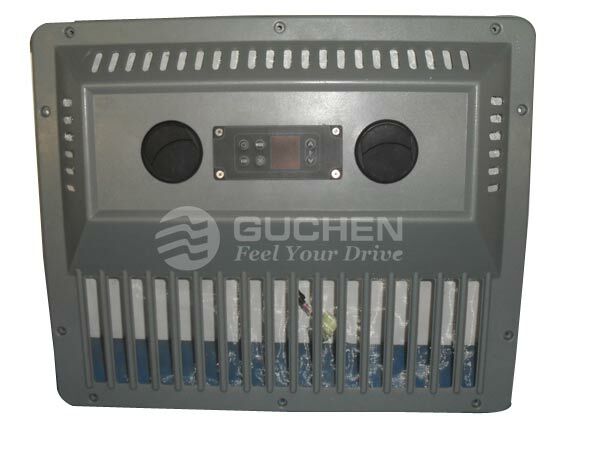 ◆ Battery power monitor: commercial vehicle A/C using low voltage cut out switch, to avoid discharging the battery below its required voltage. 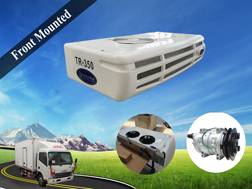 ◆ Easy to install, this DC powered rooftop air conditioning for commercial vehicle are fully self contained, just connect the wires to a full battery, it start cooling. 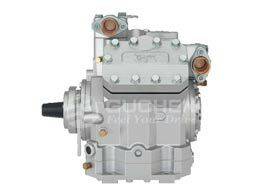 ◆ Prefilled with R134a refrigeration which meets all ozone layer protection requirements. 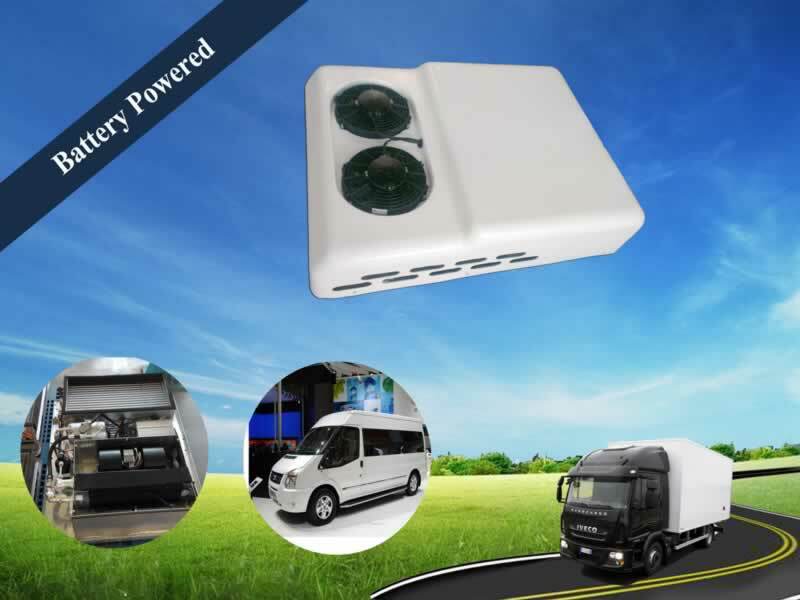 ◆ No engine noise, saving fuel and money, resting periods allows van & vehicle at idle to keep the inside cab in a comfortably cool climate during the hot summer, ensuring driver have a good rest. 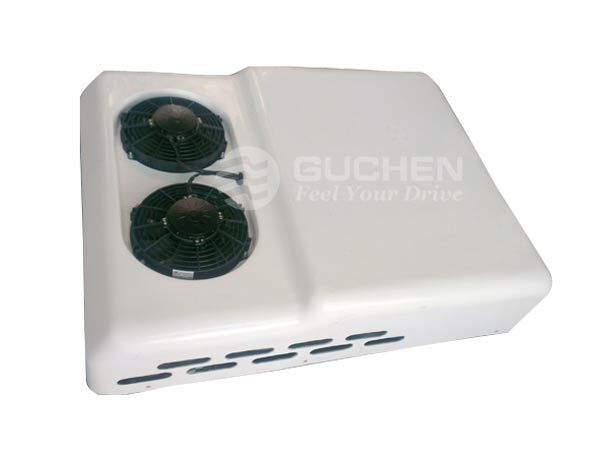 ◆ Eco-friendly and safety: no diesel emissions and reduced CO2 emissions to atmosphere which the vehicle engine anti idling, at the same time, ensuring the driver have a comfortable sleep by refrigerating the vehicle cab, Guchen helps in making driving safer. Please turn off the power when you prepare for maintains and repairs your Airpro4000 battery powered commercial vehicle air conditioning. 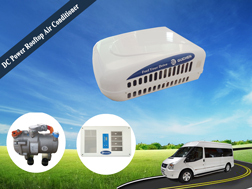 5.You should be immediately stop and check, if the A/C system running abnormal vibrations, odors. 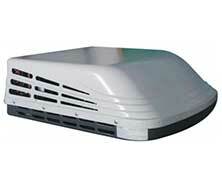 6.The dust filter of commercial vehicle A/C should be cleaned timely, to avoid affecting the cooling effect. 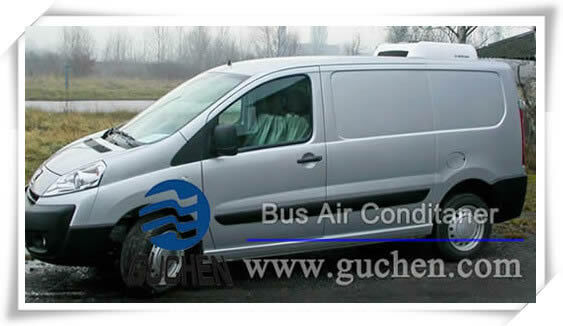 As the electric commercial vehicle air conditioner manufacturer in China, cost-effective Airpro4000 commercial vehicle air conditioning from Guchen industry is the high quality 24V battery powered air conditioning system designed for saving diesel costs by keeping commercial vehicle & vans cooling without idle engine, welcome to inquire commercial vehicle air conditioning price.